A few months ago I was given the opportunity to review another new mattress. 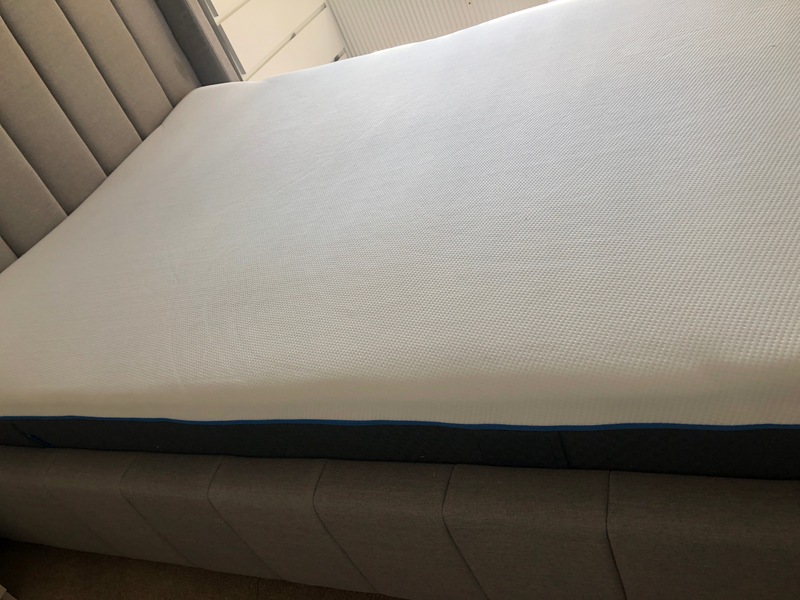 This is the second mattress I have received from them, so, having seen their new product in between documentaries on Discovery, it’s one which I had been looking forward to since its release. In particular, this mattress was gifted to me from the team at Emma. 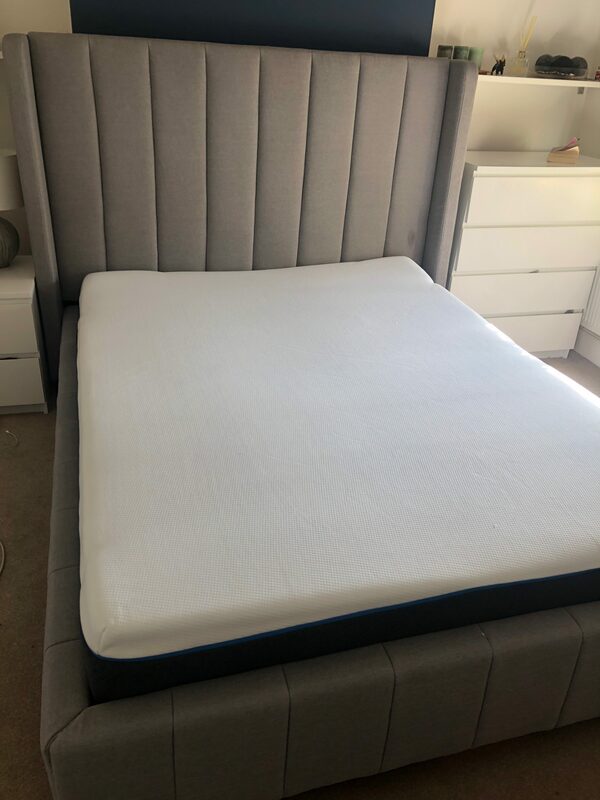 Three months on, it’s now time to write up my thoughts and findings on this mattress, in which I will outline everything ranging from ordering and delivery, down to 90 days usage. If you haven’t seen their adverts on TV or out in public elsewhere, Emma is a UK company that has been established since 2015. 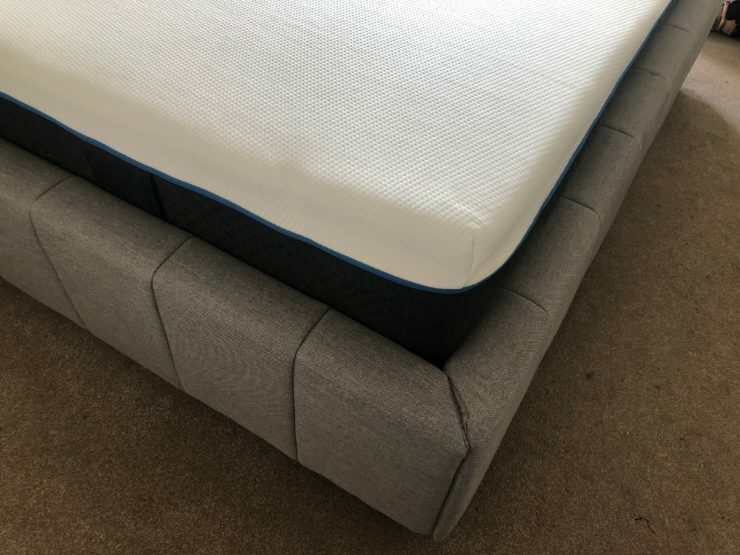 They currently have two mattresses in their product range, one of which is the Emma Hybrid (released in 2017), and the other is the Emma Original (released in April 2018). The product I received which is on review here is the Original. Currently, it is rated as the Which? Best Buy for the Mattresses June 2018 category. The idea for this mattress originated in the US after the UK founder became inspired and started to develop a similar product he could roll out to the UK market. Emma now works with leading manufacturers across the country to produce their signature mattress, which is assembled in Derby and distributed nationwide. 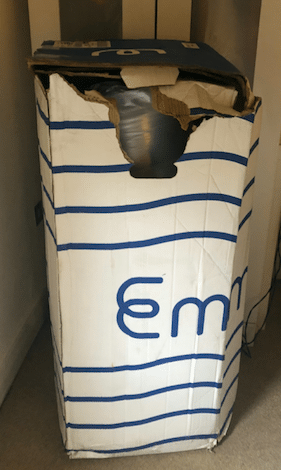 Without further ado, let’s take an in-depth dive into the latest Emma mattress review, and evaluate my whole experience with this new product. Check the latest price and deals on the Emma Mattress. In brief, the Emma Original mattress is one-sided and made almost entirely of memory foam, unlike its predecessor which is a hybrid spring and foam variant. The top layer (cover) consists of climate fibre which regulates your body temperature and gives you a comfortable nights sleep. It is also removable which means you can machine wash it, which is great for hygiene purposes. The second layer is the point-elastic Airgocell foam which provides you with optimum comfort while also allowing one area to compress without affecting other areas of the mattress. This is otherwise known as motion isolation, which is very important for sharing couples. 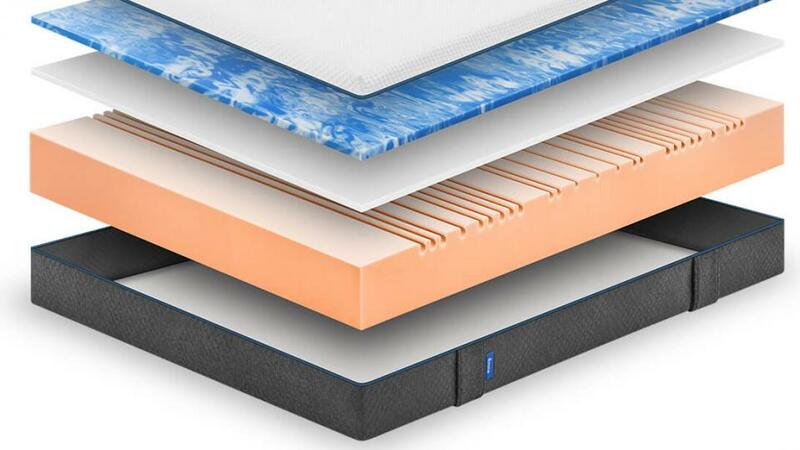 The third layer is the visco-elastic memory foam, otherwise known as traditional memory foam. This layer aids the pressure point relief required for correct spinal alignment and helps it to distribute body weight among the surface. This will give you the feeling of comfort in any position you choose to sleep in, making it great for all types of sleepers. The fourth layer is the supportive cold foam. Also known as the base layer, it is the bulkiest and firmest area that supports the topmost layers. This base supports you by offering counter pressure to give relief for your lower back and shoulders. Multiple slits in the foam allow for heat dissipation which helps keep the inner core from getting hot. Most traditional foam mattresses tend to heat up throughout the night when they fail to release trapped body heat. The Original seems not to suffer from this problem and surely slits play a big part in this. The final layer is the breathable air comfort cover. The attractive charcoal 3D-mesh cover offers better air circulation while also offering a stylish and neutral cover. This is different from the first layer, but both zip together to form the encasement. Within a matter of days of confirming my details, I received a message from the delivery courier that my order would be out for delivery on a weekday. However, I was working so I opted to pay an extra £5 for a Saturday delivery. I arrived home from work on the first day they offered to deliver and found the box was outside my front door. As you can imagine, I was not particularly happy about this as I live on a semi-busy road with no secure location for the item to be stored. Additionally, I received no message that the mattress had been delivered, so it was a shock to come home and find it sitting there. Overall the delivery experience was disappointing in relation to the delivery company, however, in terms of boxing it up and getting it to my front door it was extremely swift. Emma promises to deliver in 1-3 working days and they definitely hit their target. The box that it came in was torn and had a large hole in it, however, after trying to carry the mattress up the stairs to my room it became apparent that the box definitely does not support the weight of the mattress, so tears are inevitable. The total weight of it is circa 30kg, so I was lucky I had two of my housemates to help carry it up the stairs. Similar to other memory foam mattresses in a box the process is the same. I rolled the Emma out of the wrapped up position and laid it flat on my floor. More advisable, you can put it straight onto a bed frame; however, my new frame was not arriving until a few days later. Make sure you look for the enclosed cutter as I missed this and used a regular pair of kitchen scissors. This cutter helps ensure that you don’t damage the fabric cover when cutting the plastic film. The mattress inflates rapidly, so it is advisable to try and get the plastic off as quickly as possible. The mattress fully expanded within 20 minutes. Emma advises that the Original will need a few hours to “breathe” before using. There was a slight smell to the mattress, but this is normal odour common with all memory foam mattresses. This smell is known as off-gassing, and typically only lasts 24-48 hours. In my case, it took approximately 24 hours for the room and mattress to be odour free. It was peak summer which meant I could leave the windows open all evening and overnight, which helped speed up the airing out process a great deal. One feature that I found extremely helpful was the fabric handles on the side which helped get the Original into position. The Hybrid predecessor also has handles. This was very handy in both instances as I had no further assistance setting up. Emma claims the Airgocell foam adapts to any body shape. I am primarily a side and front sleeper so I am sometimes prone to neck and shoulder aches. However, after a few months of sleep on the mattress, I can say that these pains are a thing of the past. I believe this is due to the foams point elasticity which improves the pressure distribution of the body. This means that I can sleep in any position and it supports my body. The Original is classed as medium-firm, just like its Hybrid counterpart. I would say the Original is a tad firmer than the Hybrid, but is still soft enough to provide a comfortable non-intrusive sensation; you don’t get that sinking feeling but a more balanced positioning for achieving perfect spinal alignment. I feel the mattress supports my body weight very well indeed, which is probably because of the multi-layered engineering made with the varying degrees of foam. You still get a slight bounce, but overall the Emma mattress feels very leveled. I work as an Interior Designer, so colour is significant to me. The previous memory foam mattress I owned was Eve, and it had a bright yellow side which I disliked. I am delighted that the Emma Original mattress uses much more appealing colours which make it look like a much higher quality item. I love the dark charcoal side contrasting with the white, and although I don’t see the dark side on a framed bed I know it looks great. Divan bed users will be happy to have a much more aesthetically pleasing colour and design as it will be more on show rather than being tucked away on a framed bed. Like most top-end retailers, Emma also offers a 10-year warranty on their mattresses. This demonstrates confidence in their products and the materials they use. The lifespan of a mattress is generally recommended to be 7-9 years, which shows Emma have faith that their mattress can last beyond the average timescale. Given the consistent feel and quality after three months of my usage, I can confirm that it’s still as good as day 1. However, it’s still early days. Emma offers buyers a 100-night trial to get used to the mattress and get a feel for it. It is impossible to truly test a mattress within a few minutes in a store and know if it is right for you. With the 100 night trial, you get a chance to use it before you decide to send it back or to keep it. I made up my mind in a matter of weeks of sleeping on the mattress, and after a few months, my opinion of it has not changed. However, if a buyer decides that it is not for them, Emma will pick up the mattress and issue a refund. This gives buyers peace of mind that they won’t have to commit to purchasing if they are dissatisfied. 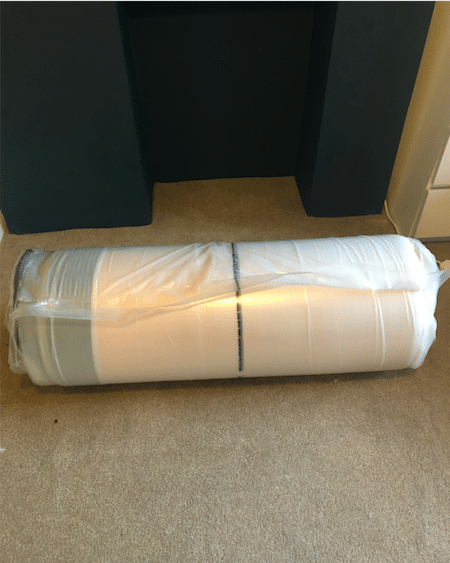 Overall I received the mattress extremely quickly, and although there were some slight issues with the delivery, this is not a reflection on Emma, as they could not have been a better supplier. This mattress is the best that I have tried in recent years and gives me a comfortable night’s sleep every night. I cannot wait to get into bed after a long day and feel revitalised every morning. In the few months I have had the mattress it has lost none of it’s recommended 10” height or bounce. A mattress is something that can stay with you for over a decade, so it is essential to get it right. After conducting my second Emma mattress review, I am confident in saying they are quickly establishing themselves as reputable manufacturers with excellent products.